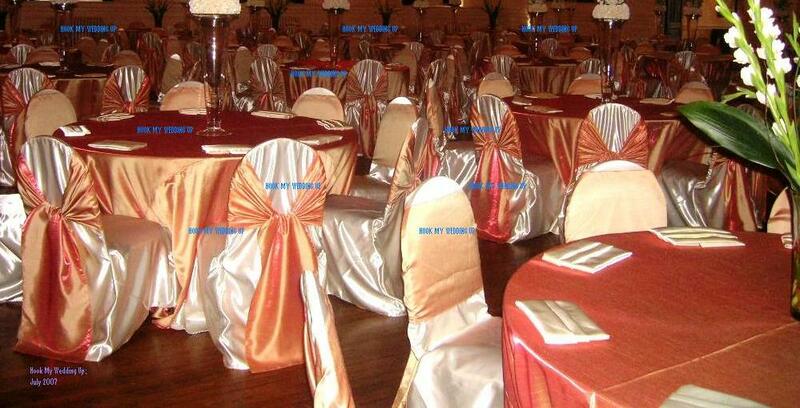 Elegant Linens offers high quality linens and chair covers in array of fabrics. We have been dedicated in service for years and have built long term relationships with many wedding planners and coordinators nationwide. While we continue working with our valued wedding planners we also continue working with our brides and families to provide exceptional service at affordable prices. We service all events: birthdays, weddings, showers, receptions, religious events, retirement parties, charity balls, corporate events, bar mitzvah, bat mitzvah, fundraisers, trade shows, graduations, class reunions, holiday parties, sweet 16, large or small event. Whatever the occasion may be we offer exceptional setup and guarantee nationwide delivery. We are here to help you create the look you want by decorating chairs that will fit any budget. If we don’t have what you are looking for we will work with you to create the event of your dreams. Prices are great…and shipping is made simple. There’s no easier way to create an atmosphere that is truly elegant at affordable prices. ü Our line of commercial grade linen rentals is offered as both rentals and purchase.